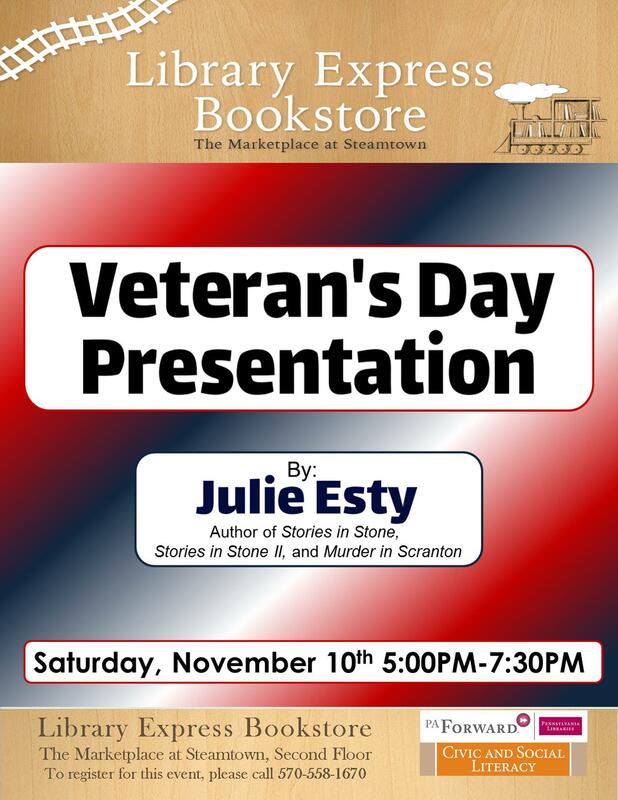 Please join us for a Veteran’s Day Presentation by Julie Esty on November 10, 2018 from 5:00pm until 7:30pm. She will have items and information relating to veterans who are buried in the Dunmore Cemetery. We look forward to seeing you there.